New Orleans is the perfect setting for family outings. Like most, our family is very busy. With three kids and two working parents, it can sometimes feel like we are all being pulled in a million different directions. Our weekdays are filled with work, school, doctor’s appointments, sports practices and homework among our many responsibilities. It can feel like there’s not a lot of quality family time built into the week. So some weekends, I really crave a family date — something fun we can all enjoy together. Thankfully, New Orleans offers lots of great family date locations and activities. Our family has been Audubon members since my oldest son was born, and I cannot recommend it more. If you go to any Audubon facility — including the Audubon Zoo, Audubon Aquarium of the Americas, and Audubon Butterfly Garden and Insectarium — more than twice in one year, the membership pays for itself. Plus you’ll get various discounts at each location. There is also the new Audubon Louisiana Nature Center that just opened, and there is no cost to visit. 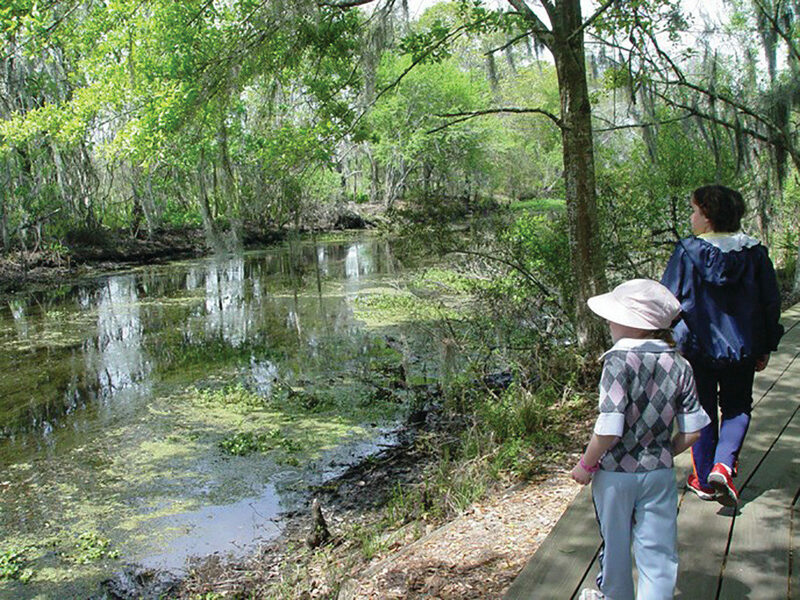 Another one of our preferred nature date locations is the Barataria Preserve at Jean Lafitte National Historical Park and Preserve. At no cost and just a short drive from the city, it’s a great little escape full of wildlife. We have seen snakes, alligators, an owl and lots of other little critters on our visits. The trails have boardwalks through the swamp, so it’s a stroller-friendly outing as well. If a yummy meal is more your idea of family fun, our family has a few favorite dining spots. My kids love Velvet Cactus in Lakeview. They love that they get to munch on chips, while waiting for their food. When the weather is nice, we all enjoy sitting out on the patio and there is more than enough to keep them entertained out front if we have to wait. They also love feeding the fish in the small pond at the entrance. Velvet Cactus is always giving kids special treats — whether it’s a freeze pop in the summer or a glow bracelet at night, it’s always a crowd pleaser. The Backyard is another great family eatery. The kids get to play outside, while Mom and Dad enjoy a tasty burger. In Metairie, we’ve just discovered The Pizza Shoppe. Kids get to make their own pizza, and this was a huge hit with my family. My little chefs were very proud of themselves when their creations were delivered back to the table ready to eat. If you’re a more active family, you should give Wheel Fun Rentals in City Park a try. My family has rented a tandem bike on a few occasions, and, since my kids are too small to reach the pedals, it was a nice workout for us parents. The bonus is there are usually Groupons available for purchase before you go. Plus, while you’re in City Park, there is no shortage of things to check out. We love Storyland, City Putt, taking a stroll through the Besthoff Sculpture Garden or just climbing some of the massive live oak trees. 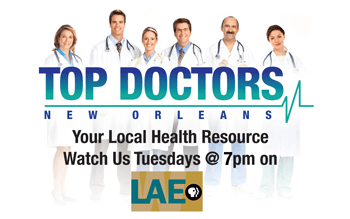 There are so many great parks all around New Orleans, and another one of our favorites is Lafreniere Park. There are lots of ducks, turtles and nutria to be seen if you take a walk on the boardwalk. My kids are also big fans of running and rolling down the large grassy hills, playing on the playgrounds, riding the carousel and playing in the splash pad in the summer. NOLA forever has my heart, and I feel blessed that this is the place I get to raise my family. We love living here and enjoying all the things our incredible city has to offer. So gather up the family and discover for yourself.